If you're not familiar with Australia-based brand Outland Denim, thanks to Meghan Markle, you're about to be. 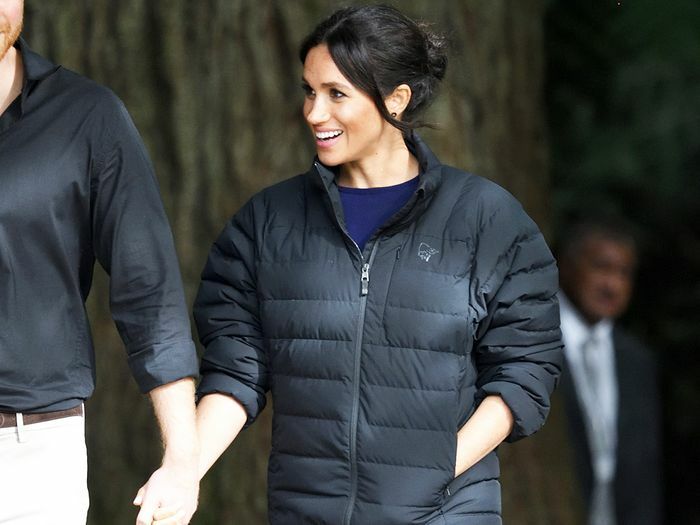 Markle and Prince Harry's lengthy visits to Australia, Fiji, and New Zealand surely required tons of suitcases for Markle's wardrobe along, but when it came to skinny jeans, it seems that the duchess only required one pair. There are a few reasons Markle probably took such a strong liking to the jeans. She's committed to supporting designers and brands that are native to the areas she visits, the brand employs disadvantaged Cambodian women, the pants go with every shoe style Markle packed (from sneakers to stilettos), and they're stretchy enough to accommodate her baby bump. We can understand the selection. Keep scrolling to see Outland Denim's documentation of Meghan Markle wearing the jeans, and shop those and a few similar styles (in case you can't wait until April).